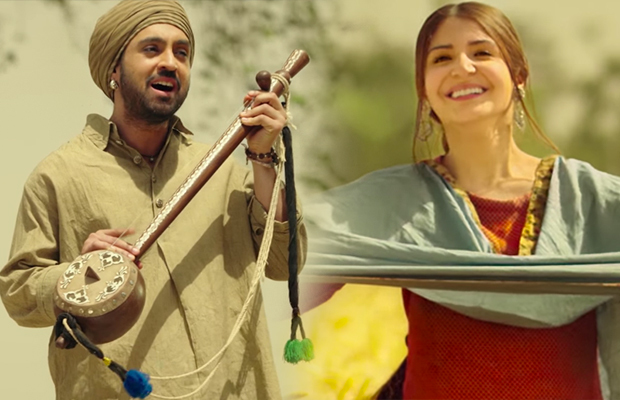 Anushka Sharma and Diljit Dosanjh’s adorable chemistry in this song Dum Dum from Phillauri. When Phillauri released its trailer starring Anushka Sharma, fans lauded her acting and character portrayed. But also were all praises for the amazing chemistry with Diljit Dosanjh they got a glimpse of. And that chemistry has proven itself yet again with its romantic sufi song Dum Dum. Diljit is seen holding his musical instrument and performing for the villagers portraying a passion for music. Lovers Anushka and Diljit are seen sharing glimpses while also working on their regular activities. The shot where they hesitate looking into each other’s eyes at the Gurudwara too is well captured. The chemistry between the two is very delightful. Anushka Sharma is stepping into such character after a very long time. Making herself look more eye catchy with this film. The film Phillauri was recently in the news when the buzz was about her rumored boyfriend Virat Kohli being related to the film. It got its weight age more Anushka Sharma then slammed the posts. Many co-stars and friends of the Ae Dil Hai Mushkil actress have appreciated her look in the film. They have all shown excitement. The film is all set to hit the screens on March 24 this year. Surprisingly, the film happens to be a film produced by Anushka Sharma herself under the banners of Fox Star Studios. Previous articleDeepika Padukone Was Someone’s Hot Valentine Date And It Was Not Ranveer Singh! Next articleSultan Director Ali Abbas Zafar Teaming Up With Salman Khan Again?